For this week’s “120 Minutes” Rewind, we travel back to June 23, 1991, for an episode built around MTV’s “120 Minutes Naked Power Grab” contest, which offered one lucky viewer the chance to be “president” of Mute Records for a week, have lunch with Depeche Mode in London, hang out with Alan Wilder while he worked on Nitzer Ebb’s Ebbhead, watch Erasure record in Germany and see the Inspiral Carpets live in Paris. 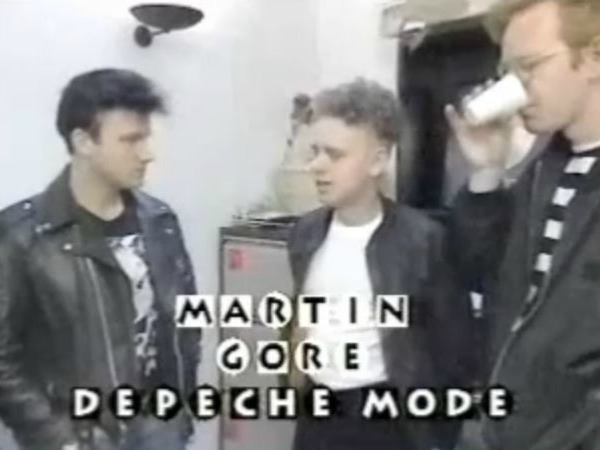 This 12-minute clip (via xxdepechemodexx) features the original contest promo, plus footage of host Dave Kendall in London chatting with the contest’s winner and DM’s Martin Gore, Andy Fletcher and Wilder. I imagine the non-filmed bits were pretty great! How was lunch?